Fear in the Night begins with a little floating dot of light dancing around the screen. It’s a will o’ the wisp that flits here and there before it morphs into the title and an odd, pulsating background pattern that is abstract, but vaguely obscene. The background music by Rudy Schrager is high-pitched and eerie. At first, all I could see was this face coming toward me, then I saw the room. A queer, mirrored room. And somehow, I was inside it. There was danger there. I knew that. I wanted to turn and run, but I couldn’t. It seemed as if my brain was handcuffed, and I had to do what I’d come to do. 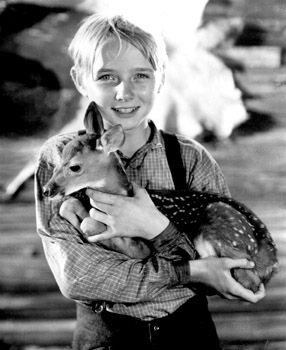 Vince dreams that he stabs a man (Michael Harvey) in the heart with a steel bore. The man resists, and chokes Vince. One of the buttons on the man’s jacket pops off. The beautiful woman with upswept hair watches and silently screams, then Vince hides the body in one of the closets in the strange octagonal room full of mirrors. He locks the closet and puts the little key in his pocket. He wakes up from his vivid dream. He is relieved, but then he sees in his bathroom mirror that he has thumbprints in his neck. He looks down and sees a spot of blood on his wrist. He reaches in his pocket and pulls out a key and a button. Distraught, Vince calls in sick to work. 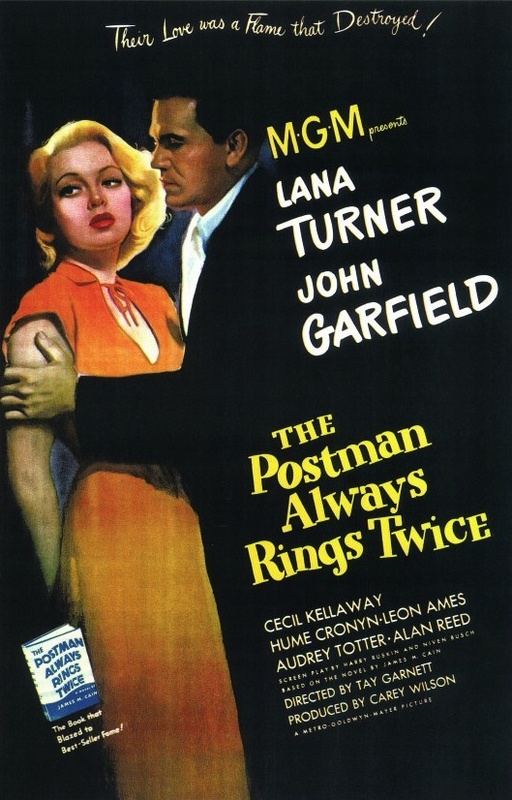 He’s a bank teller, and his pretty co-worker Betty Winters (Kay Scott) is happy to take over his window for the day, but she clearly has feelings for Vince, and is worried when she calls his room and no one answers. Nothing pans out until Vince and Betty go on a picnic with Lil and Cliff. Caught in the rain, they take refuge in a large, unoccupied house. Guess what Vince finds upstairs when he starts poking around? You guessed it … an octagonal mirrored room, the same one he dreamed about. In a nice bit of realism, as soon as it becomes clear that a murder actually was committed, Cliff jumps to the conclusion that Vince has been stringing him along the whole time with a crazy story so he’ll be able to plead insanity when the case goes to trial. 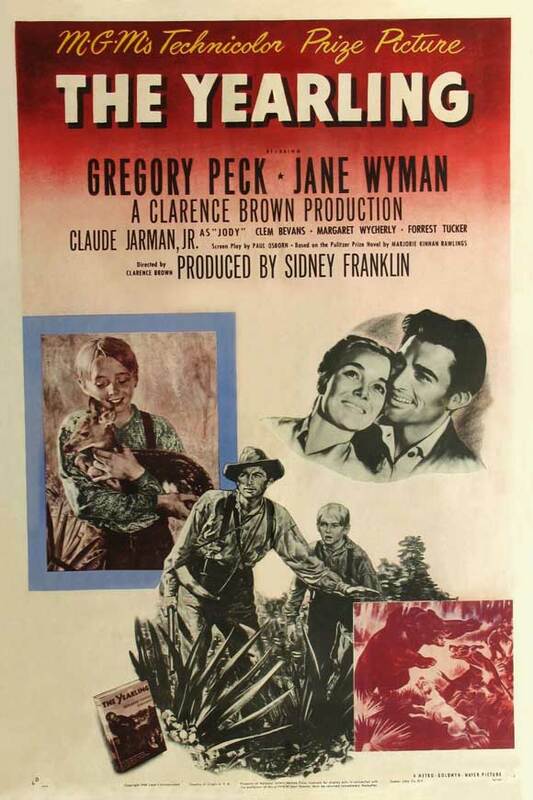 Fear in the Night was the first film that screenwriter Maxwell Shane directed. 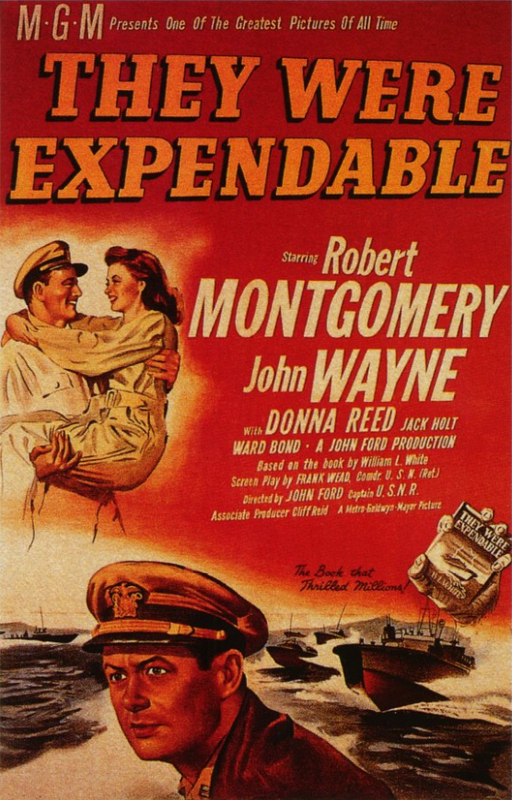 He also wrote the screenplay, which was based on the story “Nightmare” by Cornell Woolrich (originally published under his “William Irish” pen name). If you’ve seen Roy William Neill’s Black Angel (1946), which was based on a novel by William Irish/Cornell Woolrich, you’ll noticed a few similarities to Fear in the Night. Blackouts and murders possibly committed in hypnagogic states were frequent occurrences in Woolrich’s fiction, which is unsurprising once you know that Woolrich was an alcoholic shut-in. 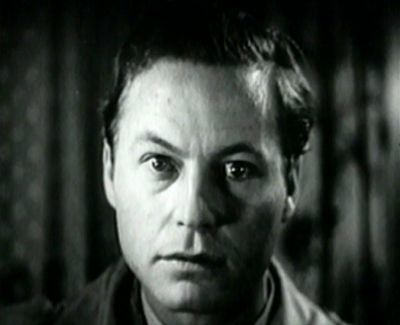 Fear in the Night was DeForest Kelley’s first role in a feature film. If you’ve ever seen an episode of Star Trek, it will be impossible to look at him in this film and not constantly see Dr. “Bones” McCoy and all of his trademark twitches and catchphrases. Even though Kelley was only 26 or 27 when he made Fear in the Night, he doesn’t look that different than he would in the ’60s. If you can get over that, though, Fear in the Night is a twisty and involving noir with some remarkable subjective camerawork. The bits of straight drama are filmed in a flat, conventional style, but all of the dream stuff (of which there’s plenty) is really effective. I’ve seen numerous other films that the cinematographer, Jack Greenhalgh, worked on, and up until now they’ve all been flat, uninteresting P.R.C. westerns, horror films, and mysteries. Fear in the Night really lets him shine, and there are all kinds of wonderful cinematographic flourishes, such as images that shatter into pieces and then are reassembled, scenes that flutter in and out of focus, and even a freeze frame of Kelley’s face while a murder plays out across his empty eyeballs. 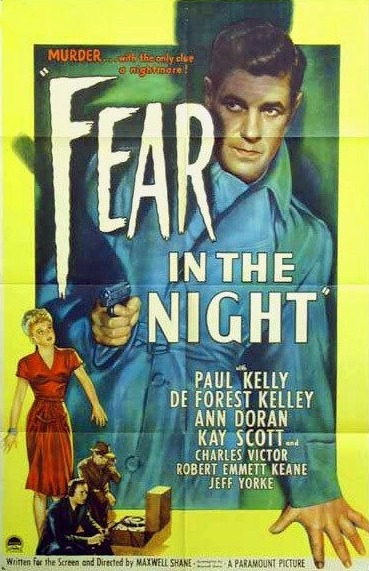 Posted in 1947, April 1947 and tagged Ann Doran, Charles Victor, Cornell Woolrich, DeForest Kelley, Fear in the Night, Film Noir, Howard A. Smith, Jack Greenhalgh, Janet Warren, Jeff York, John Harmon, Kay Scott, L.B. Merman, Maxwell Shane, Michael Harvey, Mystery, Paramount Pictures, Paul Kelly, Pine-Thomas Productions, Richard Keene, Robert Emmett Keane, Rudy Schrager, William C. Thomas, William H. Pine. Bookmark the permalink.